Organising a wedding takes up a lot of time and dedication. Choosing a place to say ‘I do’ and to have one of the most important days of your life is not an easy task. But, if you have dreamed of getting married in a European city full of magic and history, then Barcelona is the place for you! So, we, at Perfect Venue, have decided to put together some of the best venues in Barcelona for you – from venues with incredible views, to old Roman villas converted into castles… we have them all, so let’s begin! 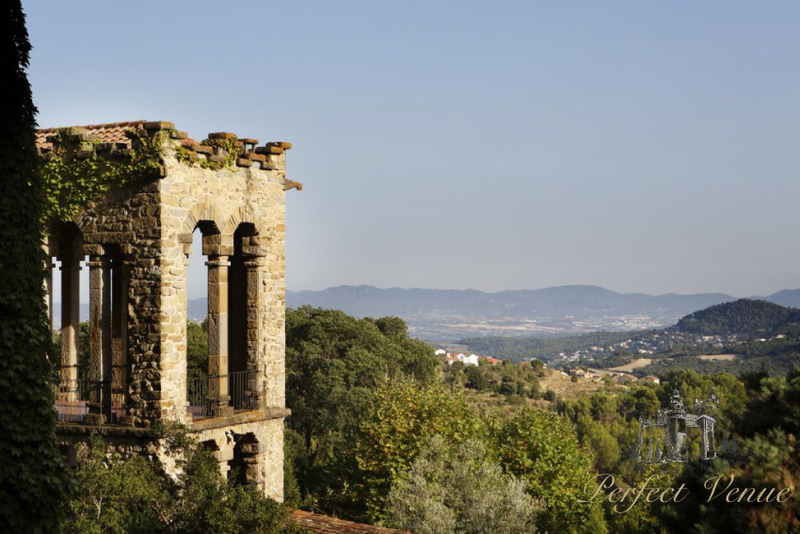 Torre Cellers Castle is adorned with two towers and was completely restored in the 14th century. Furthermore, it has been recognised as the best conserved castle in the whole of Catalonia. There, you will enjoy a great variety of places where you can celebrate your banquet, from an elegant hall inside to a garden area with the capacity for more than 250 people. 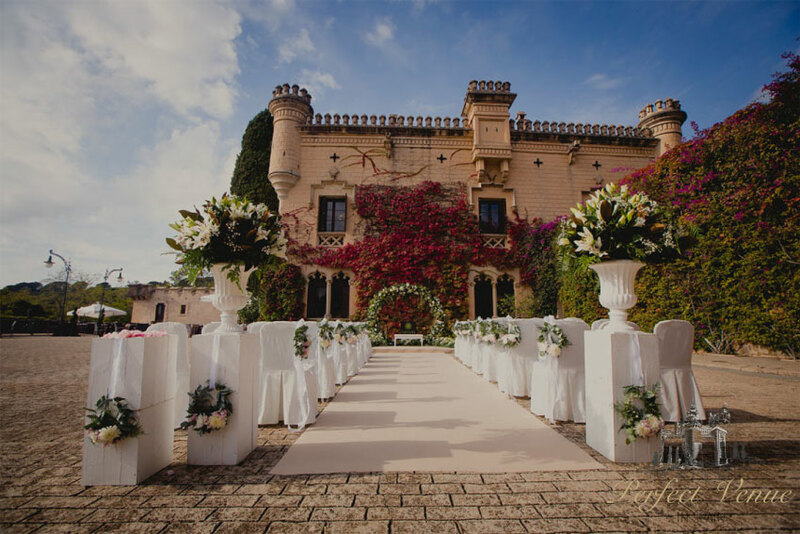 If what you are looking for is a place where you can celebrate an extremely pure wedding, this fabulous castle is the perfect option for enjoying a wedding and after party with the best facilities imaginable. 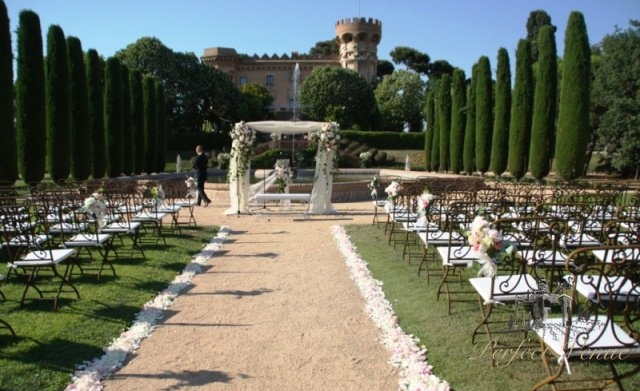 You can have the ceremony in one of the pretty gardens or inside the castle, where there are two fully equipped halls. Furthermore, the staff at Sant Marcal will take charge of the day to make sure that everything goes to plan and just how you imagined it. It has a bodega with capacity for 125 people and a greenhouse where you can accommodate 800 people. This is a country house from the 16th century which is perfect for any type of wedding. Each corner and space of this farmhouse will leave you with an incredible memory. 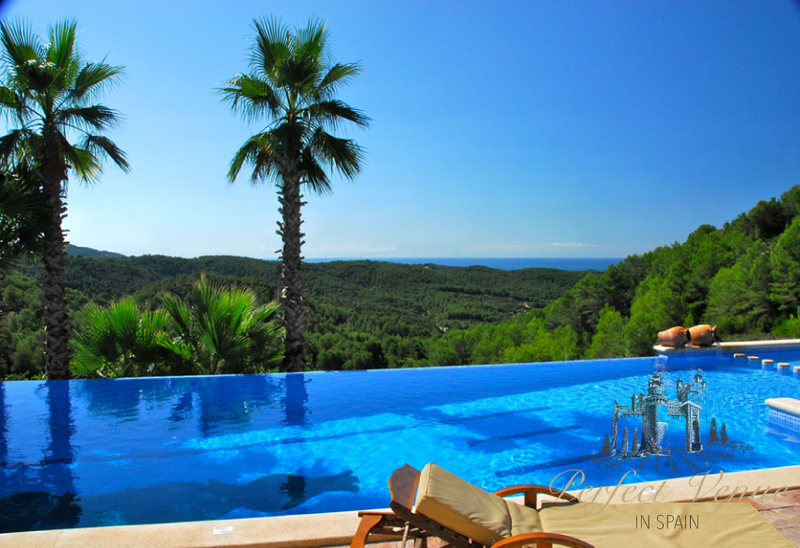 It has various fully equipped rooms and it is surrounded by typical mediterranean woodland, where you can enjoy excellent views of the city in incomparable surroundings. 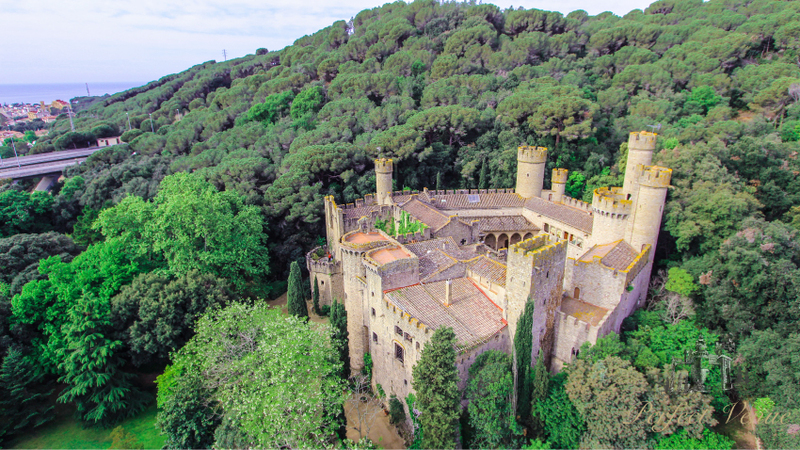 This castle from the 19th century has become one of the most sought-after places for getting married in Barcelona. It has an extensive patio ‘de Armas’ where you can celebrate civil ceremonies, whilst surrounded by a wood and a spectacular lake. Inside, there is a large room called August Borras where you can celebrate banquets with more than 300 guests. This is a pretty and welcoming restaurant near Nova Mar Bella beach. It has a chillout area and a Beach Club part – a meeting place with incredible views of the sea thanks to its extensive panoramic windows. The food on offer is very varied and high quality, based on the careful choice of the chef who mixes seasonal mediterranean food with fresh products from the ground. Built on top of an old roman villa, Santa Florentina Castle, a medieval castle, is located in an urban settlement. It has all the facilities for hosting a wedding of dreams: a terrace, dancefloor, garden space, and even private parking for the guests. 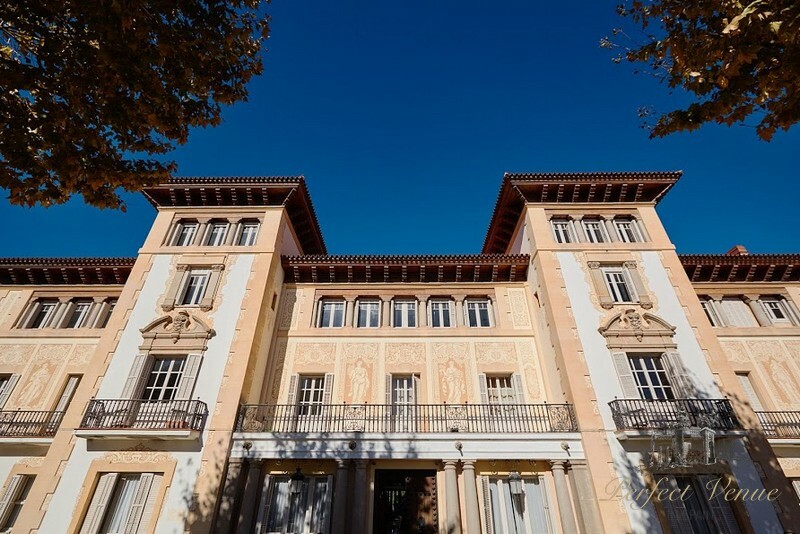 Villa Casanova, located on the border between the Lleida and Fraga provinces, has impressive rooms with a maximum capacity of 1,100 people. In addition, it has hectares of gardens with artificial streams and lakes, which are the perfect place for organizing a drinks party and for making your big day completely unforgettable. Also, it has parking space for 500 people and a fantastic 400 m2 dancefloor. This incredible property has everything that you need for celebrating a wedding of dreams: covered events room with a 75 person capacity, a patio outside that can host more than 120 people and a marquee specifically designed for providing an area to hide from the rain or the overpowering heat. Also, enjoy a moroccan outdoor lounge for a cocktail or as a chillout area. This is a pretty country estate, that has been completely reformed by its owners, with capacity for 70 people and with 14 bedrooms which have been designed up to the smallest detail. 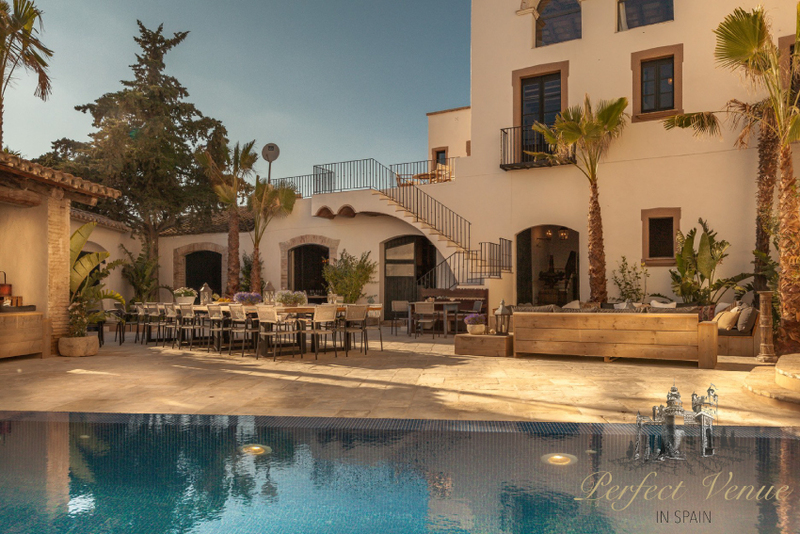 It has two patios connected together by a bodega, private areas, a spectacular infinity pool, three large rooms for celebrating any type of event in, and a dining room. Furthermore, one of its most favourable attributes is the beach that is only a short 5 minute car ride away. 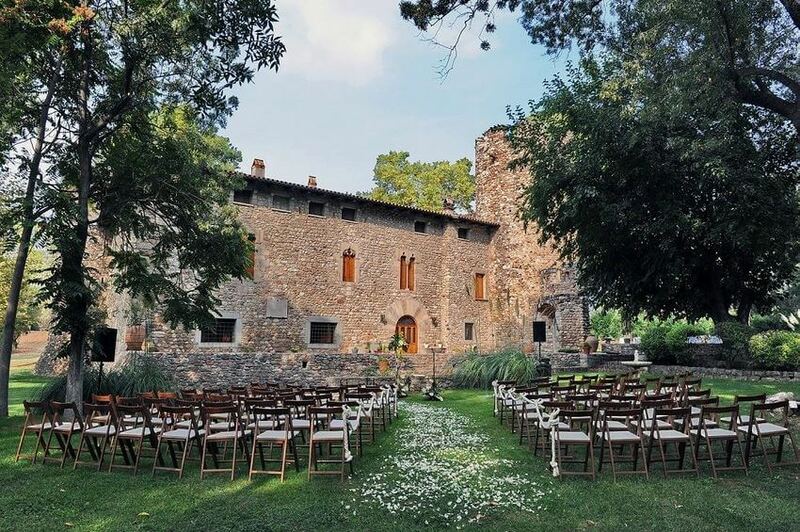 Mas Solers farmhouse has different venues where you can celebrate the wedding you have always dreamed of. There, you can find rooms with capacity of up to 1200 guests. One of the most impressive rooms is the Spanish room, that boasts 1000 m2 of space and that can be accessed through the main door. Another large room is the Grace room, with direct views of the garden and an excellent and elegant decoration. The bodega also is a space to take into account for any celebration since you can play with its rustic atmosphere and modern touches. 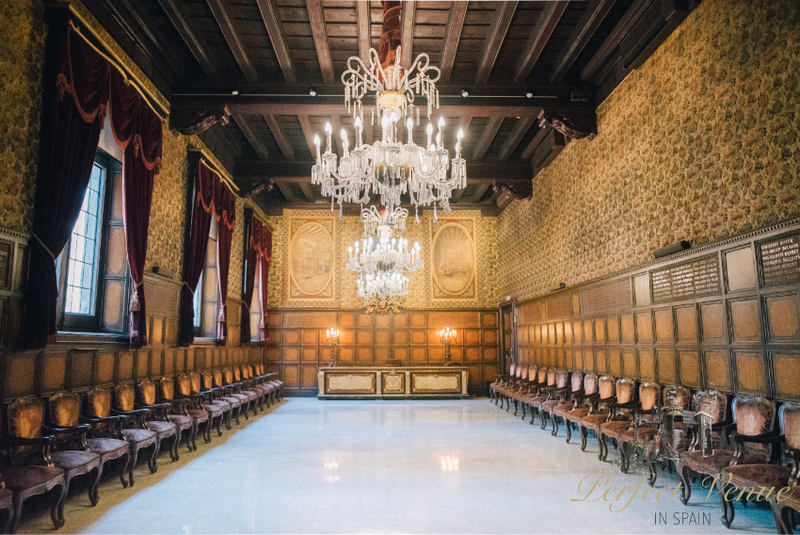 Casa de la Seda is a perfect place for a wedding in the centre of Barcelona given that it is beside the Palau de la Musica Catalana. It has different rooms where you can celebrate your wedding in an elegant and historic environment, decorated with exclusive pieces and decorations that give it character. 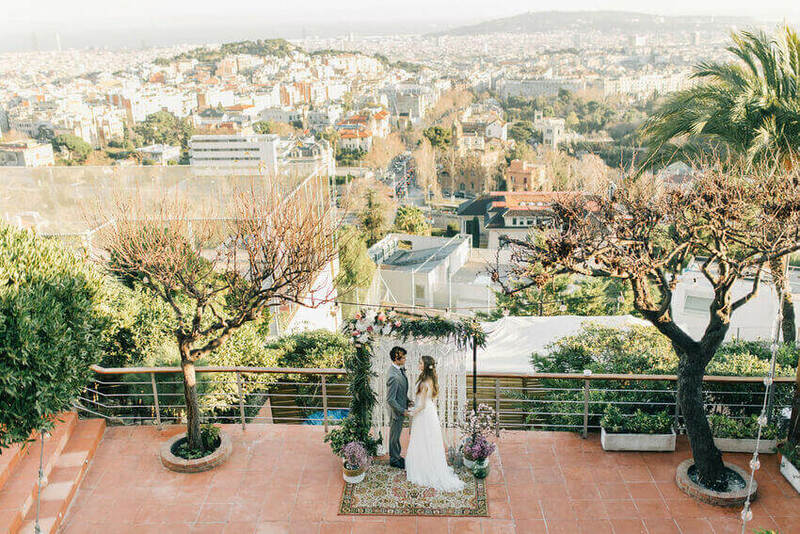 Mirabé restaurant is at the end of the famous Tibidabo Avenue where, from a beautiful balcony over Barcelona, you have a spectacular setting in which to celebrate your wedding. On the top floor, you can enjoy one of the best views of Barcelona whilst surrounded by a warm and elegant atmosphere, that combines perfectly wood and glass.